In news that allows us to make use of our “Australia” tag for something other than a retrospective on that Baz Luhrmann movie, Johnny Depp has followed up his non-apology to the Australian government with a similarly reluctant one in London. 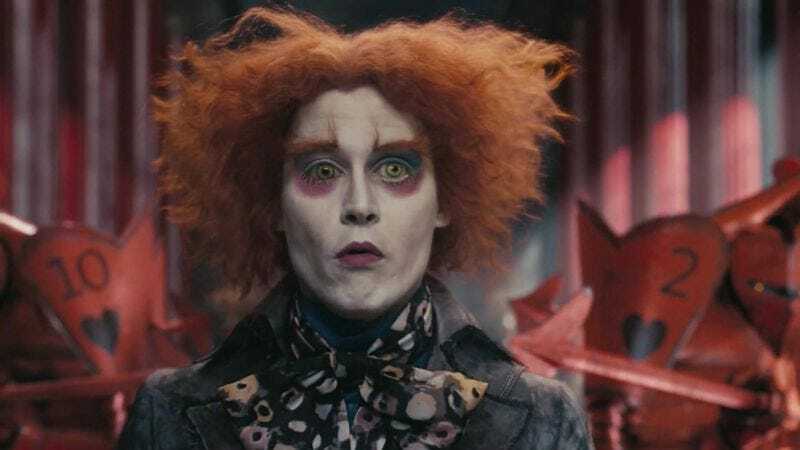 While at a junket for Alice Through The Looking Glass, Depp felt the need to iterate his previously implied lack of remorse, expressing a desire to “do this everywhere I go” from now on. If you don’t recall the international incident that once threatened the lives of Depp’s dogs and Amber Heard’s freedom, here’s a refresher: Heard “smuggled” the couple’s dogs into the land Down Under to keep her husband company and/or help him get his eyeliner right while he filmed the latest Pirates Of The Caribbean movie. This violated the country’s quarantine laws, and the dogs eventually got the boot (not that one). Heard and Depp were required to issue a formal apology last month, which they appeared to have done after watching videos of hostage situations. Worrisome speech cadences aside, the deed was done and immediately criticized by the Australian prime minister, who felt the mea culpa could have used more oomph. From the looks of this latest video, Depp appears to be experiencing more regret over the apology than the offending act, though not a whole lot more.